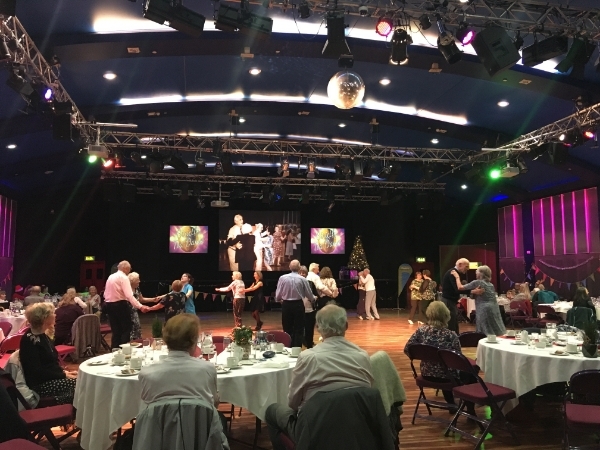 The next Tea Dance hosted by Dance Woking and Woking Borough council is taking place Wednesday 3 April and will have an Easter theme. It’s a great social event to meet other dancers from the local area, have fun and get moving! Beginners welcome as there will be some led strolls and steps taught during the afternoon. The event will feature fun classes and workshops by professional dancers Mike & Mel from The Swingsters who will lead all the favourites from the Waltz to the Charleston. You do not need a partner to take part, whether you come alone or come with your friends, our professional dancers will take the lead and show you the steps! Also programmed into the afternoon is seated dance led by Dance Woking Artist, Kate Finegan, enabling everyone to get dancing!